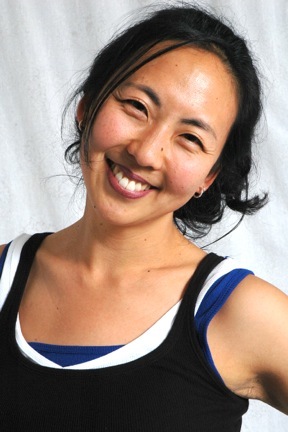 grace shinhae jun is a choreographer, educator, performer, and scholar who loves the language of movement and the power of knowledge. Her movement and rhythm are based on a union of hip hop and contemporary techniques that serve as the foundation for her artistic work that promotes positive expressions of hip hop culture as an accessible vehicle for activism, resistance to oppression and racism, and social change. As a performer, grace has worked with many different artists including Jean Isaacs San Diego Dance Theater, tammy l. wong dance company (Singapore), Allyson Green Dance, Gabe Masson Dance, and Collective Purpose. She currently teaches at the University ofCalifornia San Diego, San Diego City College, and for TranscenDANCE Youth Arts Project. Holding a BA in History from UCSD and an MFA in Dance from Sarah Lawrence College (New York), grace is a PhD candidate in the Department of Theatre & Dance at UCSD. Her dissertation and research focuses on race, gender, and class representations in the hip hop body and hip hop performance.